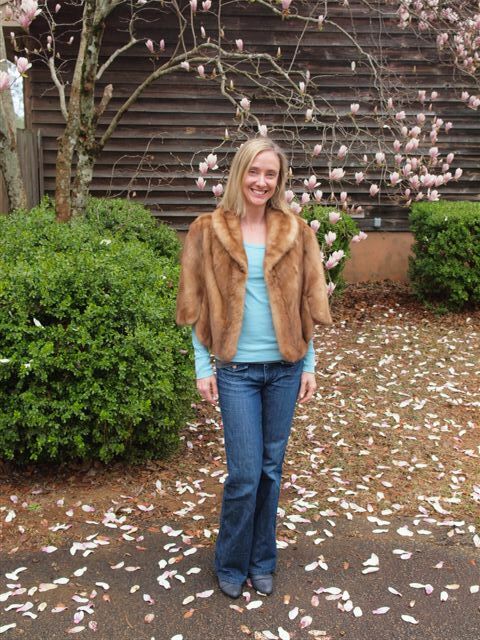 A few weeks ago, I mentioned in a post that fur was a huge trend on the runways for Fall/Winter 2011 at NY Fashion Week. 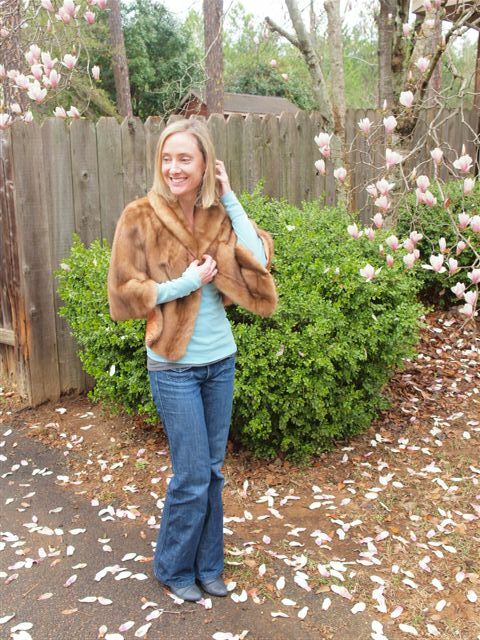 My mom told me that her sister inherited a mink stole from my Great Aunt that would have been perfect for my post. So, when I attended my Grandmother's 94th birthday party I asked my Aunt show it to me. My dad had his camera, so although the rest of my outfit was not fur-worthy, we took some pictures. I have one just like that that I inherited from my grandmother. I have yet to find a place to wear it.